Heat oven to 375°F. Place miniature paper baking cups in each of 36 mini muffin cups. In large bowl stir cookie mix, oil, water, and egg until soft dough forms. Shape dough into 36 (1-1/4 inch) balls; place in muffin cups. Bake 8 to 9 minutes or until edges are set. 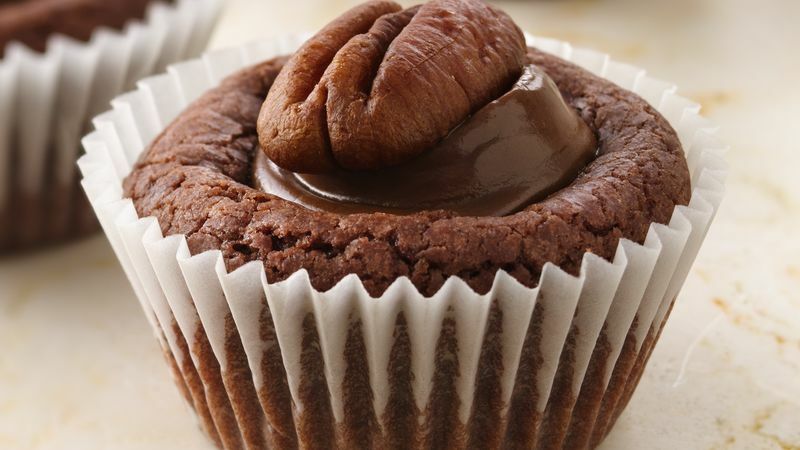 Immediately press one milk chocolate-covered caramel into center of each cookie cup. Cool two minutes. Top with pecan halves. Cool completely, about 30 minutes. Remove from pans with narrow spatula.